Bismillah – Official Opening Event 15 November 2018 6:00 pm 15 November 2018 8:00 pm Islamic Museum of Australia Join us for the official opening of new exhibition, Bismillah - Devotional papercutting of Tusif Ahmad. 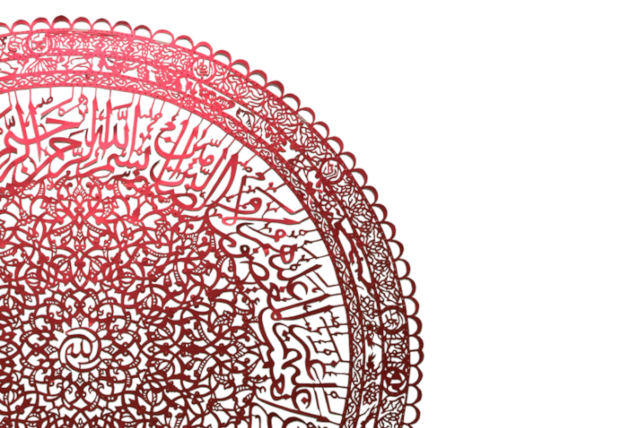 Join us for the official opening of new exhibition, Bismillah - Devotional papercutting of Tusif Ahmad. In his Bismillah series, Perth based artist, Tusif Ahmad, presents a broad repertoire of his signature devotional papercuts. Inspired by the Quran and the spiritual beauty of Islam, Tusif reveals dreamlike worlds, where twisting Arabic calligraphy and figurative depictions entwine tessellated geometry to create intricate pieces shimmering with mystical symbology. Read more about Bismillah - Devotional papercutting of Tusif Ahmad.